What’s Good: The seventh generation GLI caps the Jetta lineup with added amenities, new driver techs and a special 35th edition model. What’s Bad: Smooth performer but would I be whining if I asked for just a little more performance punch? 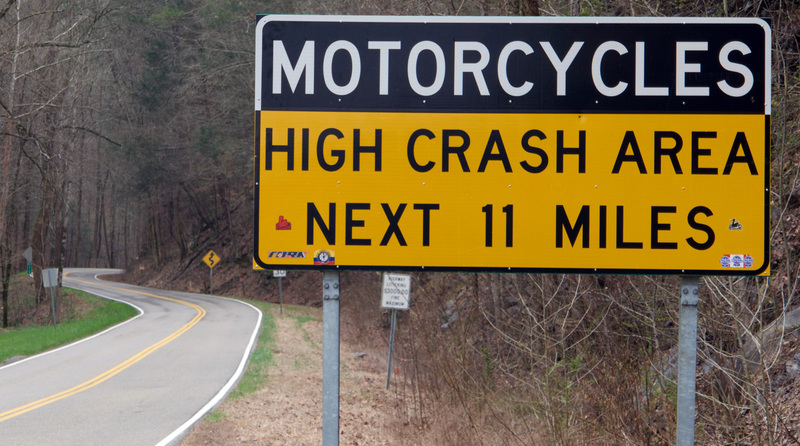 DEAL’S GAP, NC – There are 318 curves in the 11 miles (18 km) that make up the Tail of the Dragon. All I knew was that there seemed to be a lot of corners crammed into one of the twistiest stretches of tarmac in North America. 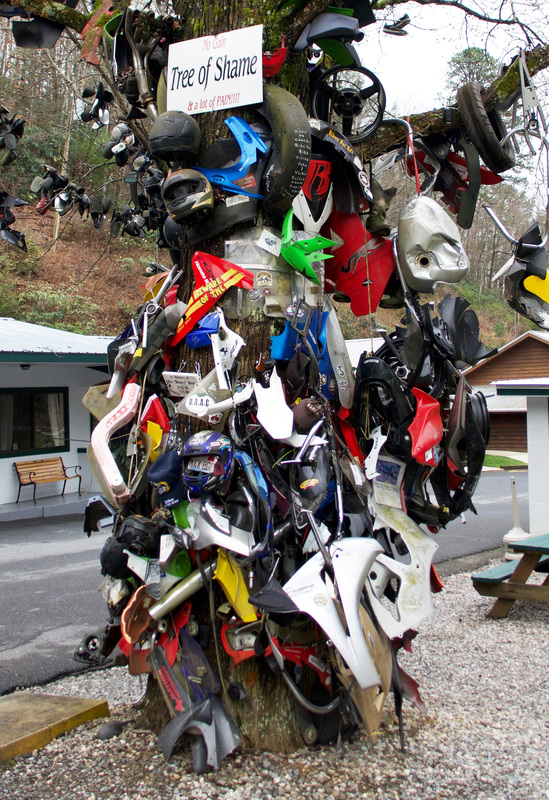 The road has become a Mecca for motorcycles, some of which have left sundry bits and pieces strewn along hairpin corners or nailed in testament to the “Tree of Shame”. I was more securely belted between four wheels, but somewhere between Beginner’s End and Copperhead Corner, I had come to equally appreciate the smooth, road handling panache of Volkswagen’s latest Jetta GLI. Think of the Jetta as sort of a Golf with a trunk. And then think of the GLI as the sporty sedan version of the Golf GTI. 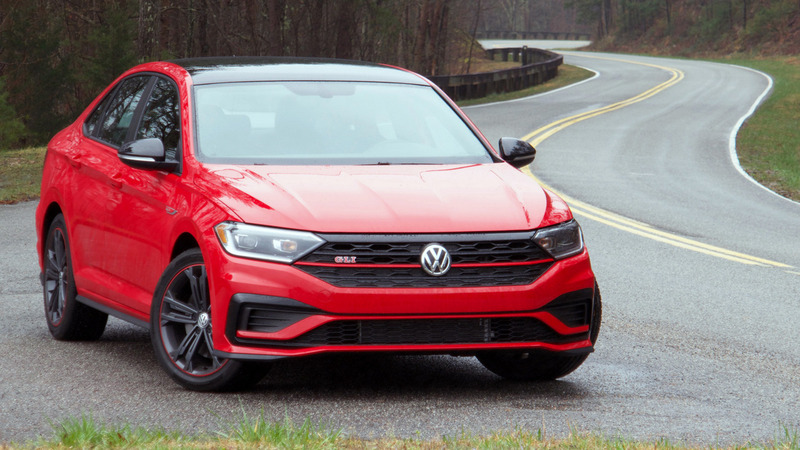 Like some celebrity’s other brother, the GLI never quite got the recognition or respect earned by its hot hatch GTI sibling. But both vehicles are now based on VW’s modern multi-purpose MQB platform, sharing similar underpinnings, updated powerplants, new performance technologies and other pieces from the parts shelf. 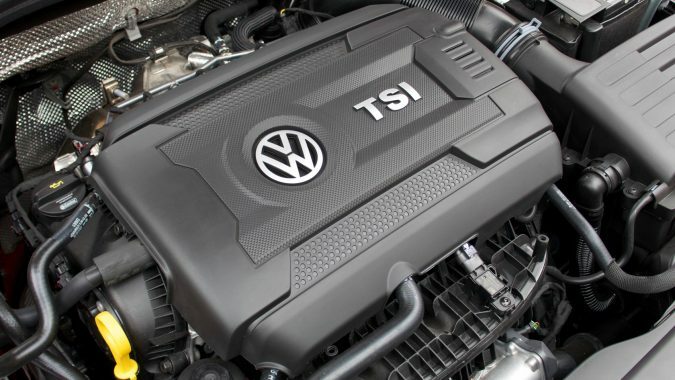 The new 2019 GLI swaps out the Jetta’s 1.4-litre turbo four-cylinder (147 hp, 184 lb/ft) engine for a more powerful 2.0-litre turbo unit (228 hp, 258 lb/ft), in itself an upgrade over the last generation 2.0-litre GLI version (201 hp, 207 lb/ft). 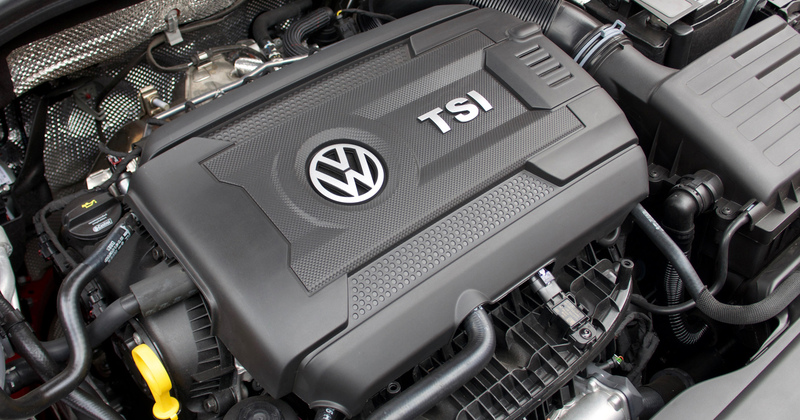 Those new numbers were earned on premium octane but this EA888 TSI engine will also run on regular and, even with the GLI’s added 140 kg of upscale extras, the numbers still work out to a noticeably improved power-to-weight ratio. The extra oomph won’t exactly put you in a whiplash collar. It’s more of a steady, smooth-surging improvement in acceleration, neatly channelled through a standard six-speed manual or an optional new seven-speed DSG automatic with remote start and a Start/Stop anti-idling system ($1,400), replacing the previous-gen six-speed DSG. Kudos to Vee-Dub for keeping the six-speed manual. The GLI does not feel too big and awkward for snicking through the cogs. In fact, this smooth-shifting gearbox felt best for rev-matching and making the most out of the engine power. The seven-speed DSG automatic seemed to default to low revs for fuel economy. 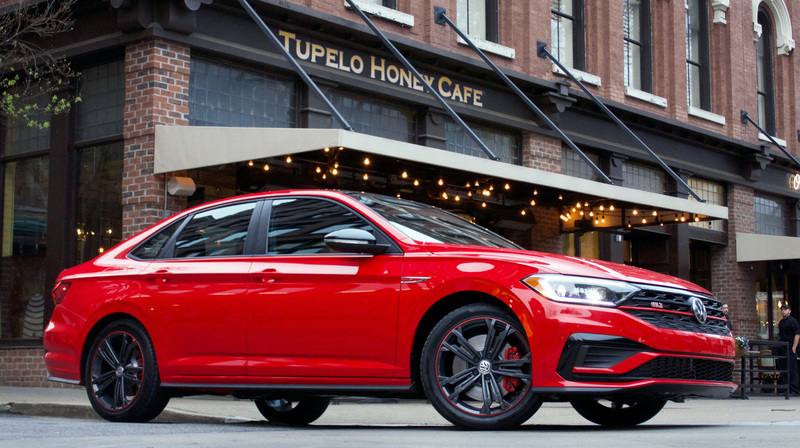 With the DSG, the GLI requires a firm hand, or, errr, firm foot on the throttle to make the most of its performance potential. Even Sport mode felt more amiable than frenetic, bumping the rpm baseline less than expected. Drivers can, however, match motoring to their mood with five different dynamic settings – Normal, Sport, Eco, Comfort and a Custom setting that can personalize steering, throttle input, shift points, engine note, front differential performance, and even your climate control settings and ambient lighting colour. Whatever your preferred pace, the power is put to the pavement via standard front-wheel-drive. So far, we can only wish for the added performance edge of all-wheel-drive but we’ll keep our fingers crossed anyway. 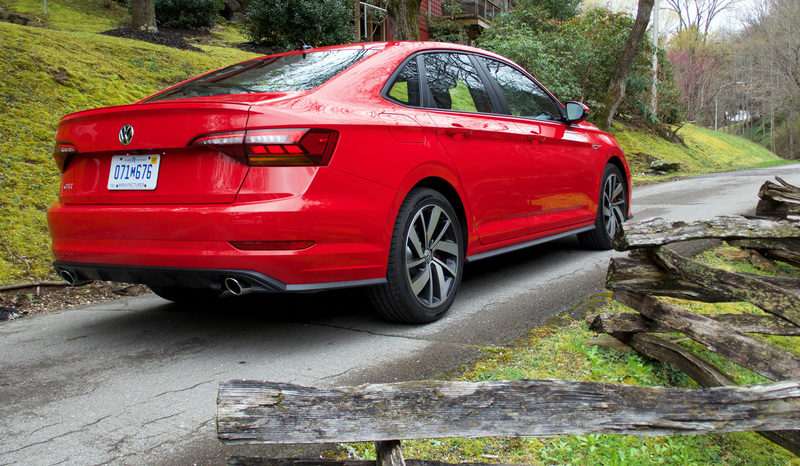 The GLI complements the engine’s extra pop with a slew of added performance features. 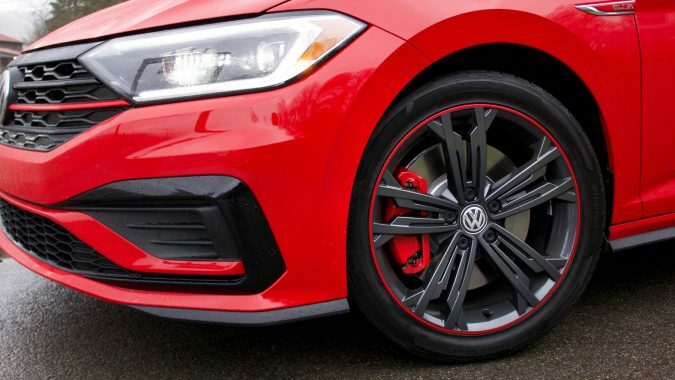 These include a standard VAQ limited-slip differential to reduce understeer, progressive variable-ratio steering, a sport suspension system with DCC adaptive damping and multi-link rear instead of the normal Jetta’s twist-torsion beam, along with bigger and beefier brakes borrowed from VW’s uber Golf R.
The GLI hunkers 15 mm lower than a regular Jetta and its performance attitude also builds on its bones and tech benefits with edgier styling – stronger character lines, more aggressive front and rear bumpers, dual chrome exhaust and added side skirts. 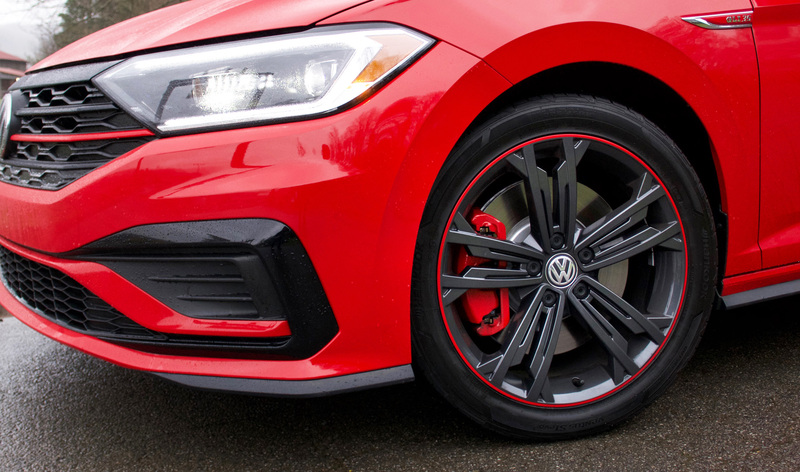 The black honeycomb grille up front wears the same red accent strip as the GTI, a look complemented by red brake calipers peeking through biggish 18-inch wheels. And the GLI is further bejeweled with standard LED headlights, DRLS and tail lamps. 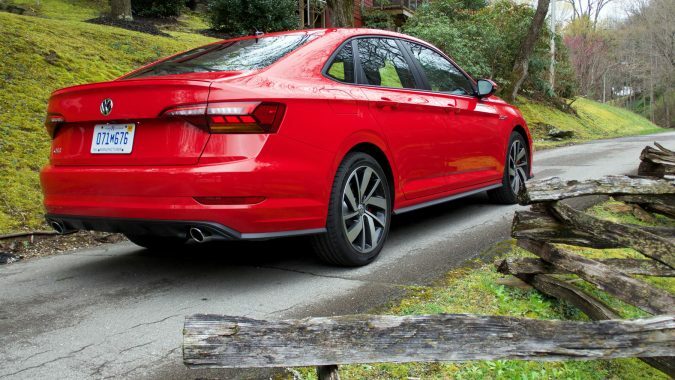 The base GLI MT ($31,695) and GLI DSG models ($33,095), representing a significant price increase over the regular Jetta starting price ($20,995), are, of course, not very base at all, coming loaded with premium standards that include heated front and rear leather seats, Volkswagen’s 10.25-inch digital cockpit display, an eight-inch touchscreen, a panoramic sunroof, BeatsAudio, all the expected apps and much more. 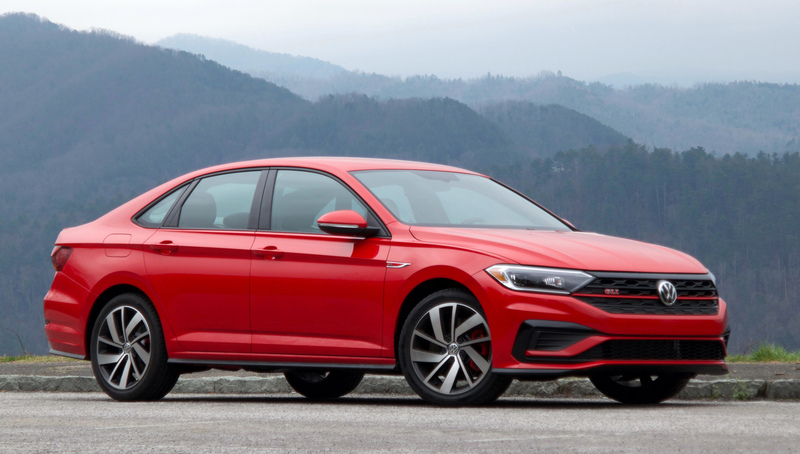 A further Driver Assistant Package ($995) can be added but, with the standard level of content, VW Canada figures the 2019 GLI comes in at $3,300 less than the previous gen version. A special 35th anniversary edition model, limited to 1,000 units for Canada, ups the optics with a black roof, black mirror caps and spoiler, along with special dark grey 18-inch wheels with a red stripe circling the outer rim. Special 35th edition badging marks interior trim, floor mats, seat tags, lighted sill plates and “flitzers” (fender badges). 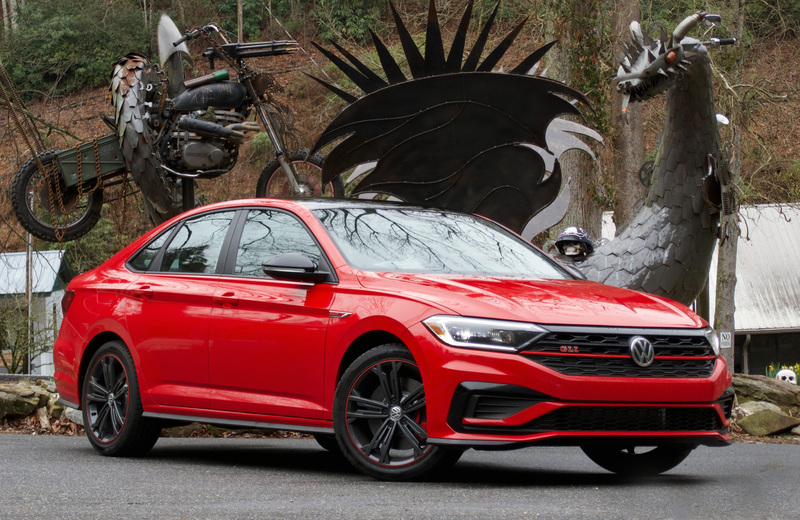 The 2019 Jetta GLI comes across with the kind of smooth performance that would be more readily personified in a tuxedo than a tank top. It’s smooth, strong and secure even in the twisty bits. And the 35th edition model, sleek and unique, seems a nice way to top the lineup for a nominal $750 more, perfectly complementing the 2019 Jetta GLI’s poised and polished performance. BODY STYLE: Five-passenger compact performance sedan. DRIVE METHOD: Front engine, front-wheel-drive.